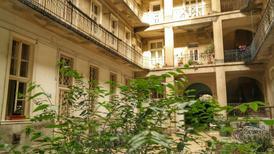 Holiday apartment for up to six people, located opposite the Budapest Opera House. A holiday house in Hungary costs on average GBP 249 in the cheap travel period and GBP 695 in the peak season per week. These details are of course in relation to the house and not per person as well as includes the obligatory additional charges. 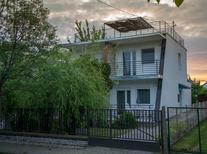 atraveo has more than 1,600 holiday houses and more than 1,500 holiday apartments on offer in Hungary. This country is a lovely holiday country: Mild climate, spacious landscape and an abundance of culture characterises this nation in Central Europe. Lake Balaton lures with its warm flat water which is ideal for your summer vacation with bathing pleasures and water sport. The capital Budapest provides a unique atmosphere with its impressive architecture and distinctive cultural life. Further highlights include Hungary’s countless thermal springs, the beautiful river landscape of Danube such as for example Danube Bend and the spacious Hungarian Pannonian Steppe. Many of the holiday apartments and houses atraveo offers in Hungary are just a couple of hundred metres away from the water – and despite the fact that Hungary has no access to the sea! Lake Balaton, Lake Velence, Lake Theiss and co are responsible for this. More than 600 holiday apartments and houses in Hungary provide an own pool ensuring summery bathing pleasures. Many of the holiday homes also have a charming innovative architecture. 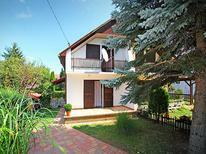 Book a villa, a holiday house for the family with a lovely garden and pool or rent holiday home directly at the lake. Maybe you prefer a holiday domicile in a complex like a detached holiday home in Scandinavian style. 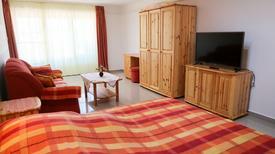 Alternatively book one of the more than 120 holiday domiciles directly in Budapest. This will be a special city vacation as with a holiday apartment in an apartment house from the 19th century or a studio in a modern townhouse you can participate with locals in vibrant city life. 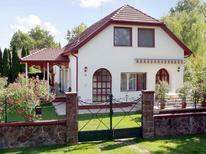 Most holiday homes in Hungary provide a secure parking place or it can be booked additionally. Not without reason Budapest is one of the most popular travel destination with city hoppers. With its generous and impressive architecture as well as special flair with lots of coffee houses and cultural centres Budapest is very similar to Paris. Stroll along the large boulevards and cross over the beautiful Danube bridges with the Chain Bridge being the most famous of all. Visit the museums of the city and the revered Buda Castle which is an UNESCO World Heritage Site. Afterwards unwind in one of the parks or in one of the many thermal baths with an array of wellness offers. Whilst in the vicinity of Budapest you should not miss out on visiting in Gödöllö the large Baroque Palace of Empress Elisabeth of Austria. Pécs is about a two and a half hour drive from Budapest and in 2010 was the European Capital of Culture. Here you will be able to discover an array of historical testimonies going back 2,000 years including early Christian tombs and Ottoman mosques. Balaton is one of the most popular travel destinations in Hungary. This massive sea is an hour’s drive from Budapest and is with around 600 km² water surface in the midst of West Hungary’s landscape. On average the water is only three metres deep and therefore warms quickly guaranteeing pleasant bathing temperatures. The waterfront on the south side of the sear is very flat and particularly suitable for a family bathing holiday. As the sea predominantly has minimal waves it is suitable for a number of water sports. National Park Balaton was established to retain some of the idyllic natural landscapes around the sea such as the Káli Basin. Beautiful holiday resorts at the sea include Balatonmariafürdö, Balatonfenyves, Fonyod and Siofok. An option equally popular with travellers is Lake Velence which is some kilometres in north-easterly direction. atraveo also has a number of nice holiday apartments and houses on offer here. There are particularly lots of healing thermal springs in Hungary and they have a long tradition. You will particularly find an array of impressive and luxurious spas in Budapest. An exclusive bathing experience is also to be enjoyed in the thermal waters in the spa resort Héviz which is even warm in the winter. A further highlight is the cave lake Miskolc Tapolca which was formed by thermal spring and has been stylishly integrated into the wellness offers. 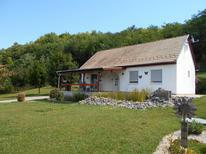 Both attractions are just a few kilometres from Lake Balaton. Hungary does not only offer fascinating possibilities for healing spa treatments and water sport. Riding is an inseparable part of Hungarian culture. Whether the spacious landscapes of Hungary’s Pannonian Steppe or through the hills of Transdanubia the country has a great number of riding offers. Maybe you could visit the famous Lipizzan stud farm in Szilvásvárad in North Hungary.